The Wii U version of Pokken Tournament will have local multiplayer, according to a notice on the HORI controller website. One player uses the GamePad as their controller perspective on the GamePad, and it seems the other uses the TV screen as their perspective. Two of the HORI controllers can’t be used in local multiplayer. Get ready to celebrate 20 years of Pokémon with our biggest and most exciting year yet! From monthly Mythical Pokémon distributions and special events to awesome new products and a Super Bowl spot, there’s something for every Trainer to enjoy. Join the celebration by marking your calendars for Pokémon Day and visiting our brand-new site! Mark your calendars, Trainers! Pokémon Day is February 27! How will you be celebrating? Which monthly Mythical Pokémon distribution are you most excited for, Trainers? 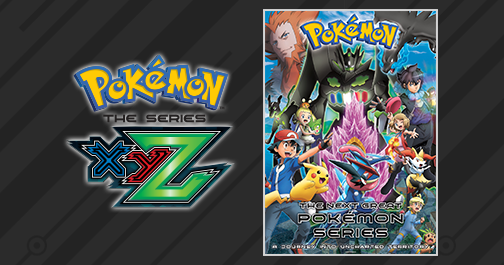 Pokémon the Series: XYZ is starting this February on Cartoon Network, US Trainers! Will you be watching? Aside from some news about Pokken Tournament, this month’s issue of CoroCoro also had an update on Pokemon the Movie XY & Z 2016. The magazine talks about how Volcanion hates humans – why this is so and what happened to make it hate them. CoroCoro also teased a World Exclusive Scoop Poster and a major announcement that will affect the entire world for the movie. In a leak from this month’s issue of CoroCoro, we found out about three new characters in Pokken Tournament. We now know that Braixen, Garchomp, and standard Mewtwo are joining the roster. That’s not all though. The game’s website just updated, revealing Chandelure as another addition. 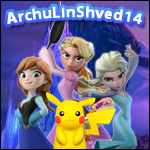 It’ll be a little while before we get a proper look at Chandelure. A trailer for the character will debut at Tokaigi 2016 on January 31. Pokkén Tournament is coming to Wii U on March 18, 2016! I wonder, is anyone able to get a legit and uncloned simisear from the latest Japan event?